While one royal, Prince Charles, was celebrating this week there were no festivities for another royal, the one that delivers our post. 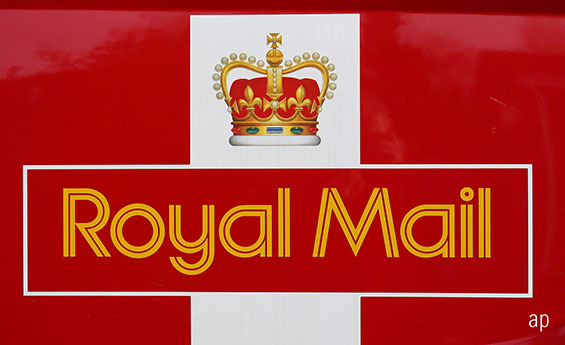 It goes from bad to worse at Royal Mail (RMG) and it is hard to believe it started life as a private company amid a row over how it came to be badly undervalued. So far the growth of parcels and international business has more than offset the decline in letters, covering the basic flaws in the business. In the half year to 23 September revenue edged up a measly 1% while profits slumped. I don’t see how the board can justify a rise in the interim dividend from 7.7p to 8p. Even with the profitable Christmas period falling in the second half, a similar increase in the final dividend could leave the total payout barely covered. All that unhappy shareholders are left with are vague promises that the mess will be sorted out next year, when we are told there will be “a greater emphasis on how we connect customers, companies and countries through our domestic and international businesses”, whatever that means. This from a board that has singularly failed to deliver on cost-cutting targets for the current year, which that are again promised for next year along with a strategy update. Shareholders were warned in the trading update on 1 October that progress on productivity improvements was falling well short of previous hopes and that operating profits would suffer accordingly. The shares slumped from 477p to 358p in the space of two days back then and went on to slip below 350p. A recent modest recovery was snuffed out this week as they fell to a new low of 318p on the morning of the results. but it is not too late to cut your losses and shift your money elsewhere. Royal Mail is stuck with half its business in terminal decline and yet it must still deliver to the furthest flung settlements of the UK at an unrealistic price. If you are determined to believe it will all come good in the fullness of time, expect a very bumpy road along the way – one that could see the shares slide below 300p. Investors are naturally jittery about outsourcing companies since the demise of Carillion, although in theory life should be a little easier with one competitor out of the way. Those jitters are justified at Interserve (IRV), not only because of problems in its operations but because, like Carillion, it is heavily in debt. It provides meals, cleans and maintains buildings, removes asbestos and creates energy from waste. The demand for its services, provided to the private as well as the public sector, is likely to grow rather than shrink. However, Interserve has spread itself too far and the energy division has run into trouble. It’s only eight months since it needed an £800 million rescue package and there’s already talk that it may need another £500 million. It’s the £614 million of debt, up from £503 million a year earlier, that bothers me most. The shares were 125p in January and now trade at around 35p. I can’t feel they are worth even that. Buying the shares looks too much like catching falling knives – and not ones that have been washed and dried by Interserve. Theresa May said at the start that no deal was better than a bad deal and she has proved it by producing a bad deal. What happens next is anybody’s guess but the chances that we will stay in the European Union in some form or another have grown. I think UK-quoted equities have taken too much of a pummelling and intend to remain fully invested. I’m conscious of the possible downside but I don’t want to miss out if there is an upward surge. Should You Give Up Tobacco Stocks? Hobson: Will WH Smith Crack the US Market? Hobson: What's Behind WPP's Share Price Crash?